» TIP LINK #1: Garmin Support Forum – Search frequently asked questions – 3010/3210. GSD 22 – Up to 5000 ft and 2KW depending on your transducer. Adjusts gain and transmit power automatically to optimize the returns for shallow water. Can connect to a dual-frequency transducer and works with everything from a standard 500 W transom-mount transducer to a heavy-duty 2 kW thru-hull or in-hull transducer to reach depths of up to 5,000 ft.
GDL 30 – Weather data receiver that receives SiriusXM WX Satellite Weather data, including animated NEXRAD weather radar and forecasts, current conditions, surface air pressure, visibility, precipitation, wind data, wave data, storm cell size, speed and direction and surface temperatures. The information show on right on the Map page of your chartplotter. GLD 30a – Same as GLD30… but also receives SiriusXM Satellite Radio. 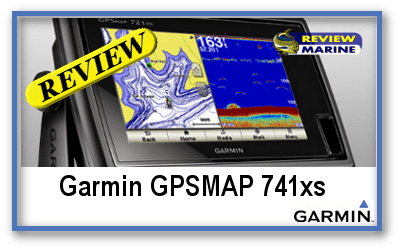 Allows you to connect your chartplotter to your on-board stereo to broadcast 120 channels of non-stop music, sports, news and talk. AIS 300 – “Receive-only,” Not a two-way transceiver. Lets you identify what ships are in the neighborhood while you remain off the AIS grid. Think of a receive-only unit more like radar than a radar unit with radar reflector. AIS 600 – True Class B transceiver that offer both “send/receive” functionality. You can also turn the transmit function off and operate in Silent Mode. GPS 17 N / GPS 17 HVS / GPS 17x HVS – External receiver antenna. 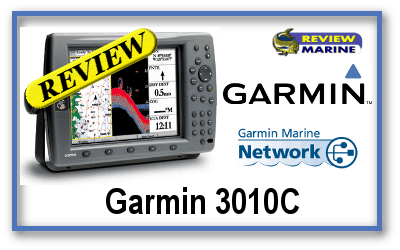 The Garmin 3010C & Garmin Marine Network offers a unique network upgrade system. 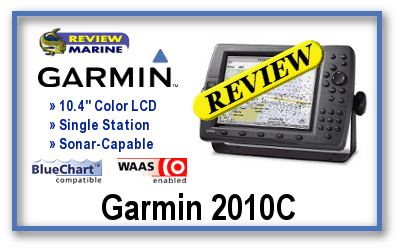 The user simply prompts the MFD to read the current software version of all components within the network, and writes them onto a Garmin data card. 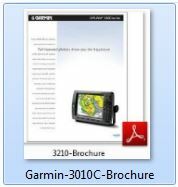 Then the user uploads this data via a PC to the Garmin website, where the newest software versions are downloaded to the data card. The entire system is automatically updated once the card is re-inserted into the MFD, a very nice feature. The 3010C screen clarity, size and networkabilty in one package is very nice. With the available additional plug-n-play modules, putting a together a complete networked system looks to be quick and easy.